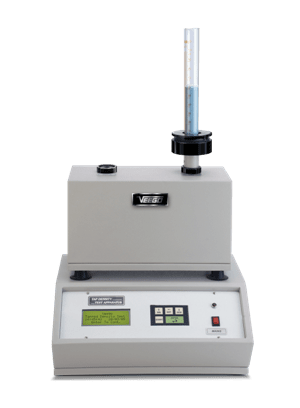 Tap Density Test Apparatus is designed for determination of the tapped density of powder samples by tapping the cylinder under specific conditions. It can also be used for Granules, Flakes etc. Pharmaceutical and Bulk Drug Industry. Granules and Flakes Manufacturing Industry. Supports both USP – I and USP – II Methods. Calculates Bulk Density, Tapped Density, Compressibility Index and Hausner Ratio.